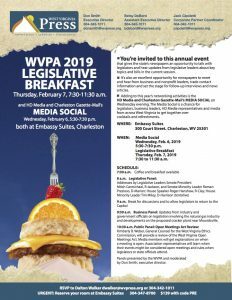 CHARLESTON, W.Va. — Legislators, media from across the state and guests will gather at the Embassy Suites on morning of Feb. 7 for annual West Virginia Press Association Legislative Breakfast. The Feb 7 breakfast is from 7:30-11:30 a.m. at Embassy Suites, 300 Court Street. Charleston, WV 25301. 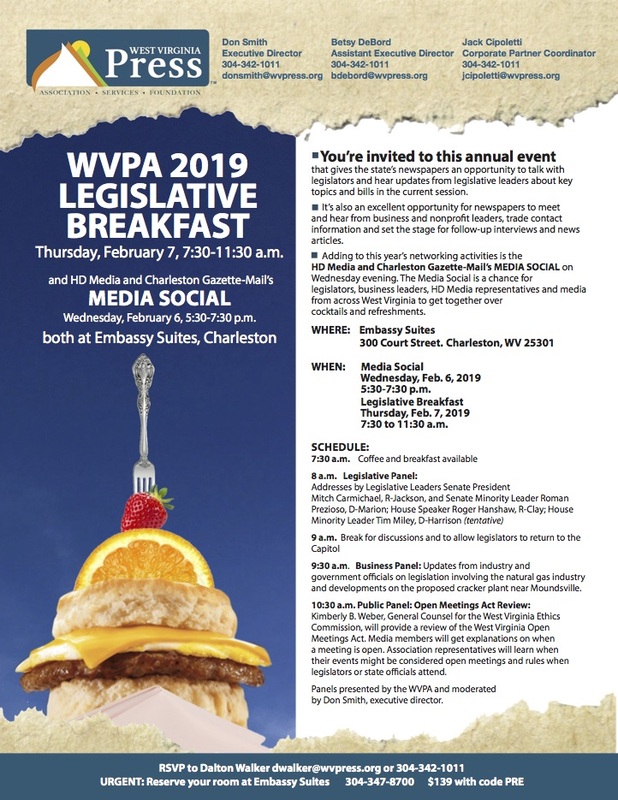 In additional to legislative update, those attending will hear a business update on the natural gas industry and a review of the W.Va. Open Meetings Act from the West Virginia Ethics Commission. 10:30 a.m. Public Panel: Open Meetings Act Review: Kimberly B. Weber, General Counsel for the West Virginia Ethics Commission, will provide a review of the West Virginia Open Meetings Act. Media members will get explanations on when a meeting is open. Association representatives will learn when their events might be considered open meetings and rules when legislators or state o cials attend.